The September Fed meeting issued few surprises; fed funds were not hiked, as was telegraphed by the Brainard speech. While the Fed maintained interest rates, in the press conference, Yellen once again, found a way to interject incremental dovishness, driving interest rates lower, and asset prices up. The playbook of the Yellen Fed for the past 3-years continues. The new focus of the Fed revolves around finally acknowledging that the Philips Curve is a rubbish inflation model, and that more slack exists in the labor market, and the economy, than previously believed, hindering an acceleration in inflation pressures. Cynics will observe that this new found slack wasn’t focused on by hawkish Fed Governors, up until September 10th, when talk of two hikes this year were still be floated. The hawkish Fed commentary sent markets on a dive, and that weekend, Hillary got sick. With jitters, and the VIX, rising, Lael Brainard saved the day on the following Monday with this speech. Hike off the table, period. The political objectiveness of certain members of the Fed is becoming a larger issue. Janet Yellen is a democrat, and Lael Brainard was the Undersecretary of the Treasury for International affairs for the Obama administration from 2010-2013. And highlighted adeptly by Macro Man in this post, Brainard also has been contributing money to the Hillary campaign. Should this be allowed? Who had to approve the political contribution? A hike at the September meeting would have sent markets lower, and clearly helped Donald Trump. Brainard, a liberal from Wesleyan, and Yellen, had final say. It is the Yellen Fed, and there will be no rate hikes until after the November election. CJF actually agrees with the notion that the Philips Curve is broken. The Federal Reserve Board overestimates its impact on inflation and the economy in general. The economy is driven by longer-term productivity, longstanding legal and regulatory policy, innovation, and animal spirits, as much as the Fed. Inflation/deflation is considerably more driven by the impact of the internet/technology and demographics. What the Fed can manipulate are asset prices. Super accommodative monetary policy inflates assets irrespective of the economy. When asked about the risk of “reaching for yield” Yellen responded that risks to financial stability aren’t heightened. Since the financial sector has deleveraged and is much better capitalized, Yellen isn’t worried about high valuations throughout the market. 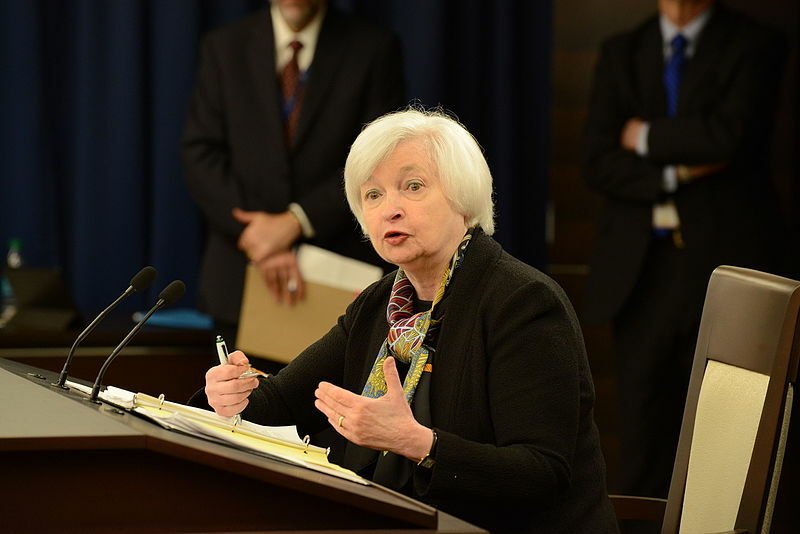 Directly, she responded that asset prices are within “normal ranges” in the Q&A. So as a result, the Fed is going to “run it hot”. Sensible investment strategy is to continue riding momentum of investments that benefit from low interests rates. This is the overarching investment thesis of this part of the cycle.